Since 1978, Database Systems Corp. (DSC) has been providing database and call processing solutions to a wide variety of communities and business organizations. These telecommunications products include our automatic phone systems that send phone messages to communities and business groups. Automatic voice message broadcasting is a recent mass communications technique that broadcasts recorded phone messages to hundreds or thousands of call recipients at once. This technology is ideally suited for contacting members of a local community requesting blood bank donations. 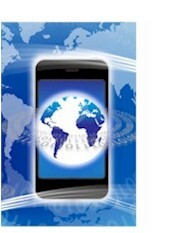 An unlimited number of phone lists can be created and maintained using our service. Lists can be created for a specific blood type or for individuals who are more frequent donors. Lists can be prepared from individuals who have passed prior medical and physical tests qualifying them for blood bank donations. If a resident is not home, a message can be delivered to an answering machine requesting a blood donation. If the phone system detects a no answer condition or busy signal, the message can be scheduled for delivery at a later time. If there is a community emergency and blood bank donations are critically needed, our service can even be activated by calling our 800 number and initiating a blood bank donation request over the phone. For an online tour of this service, visit our voice broadcasting demonstration page. Complete call message reports are available to view the effective delivery of messages in this fashion. Contact DSC to learn more about this valuable community service program which uses our voice broadcasting services and phone systems. The Community Blood Center of Dayton, Ohio employed the voice broadcasting services at Database Systems Corp. call center to provide automatic calls to request blood bank donations from its existing blood donors. Using our voice broadcasting service for contacting potential blood donors is easy and secure. Once you've signed up for this call management service, here's all you need to do. 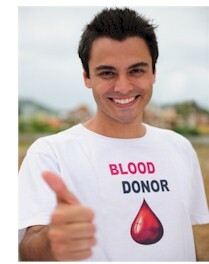 Create and save one or more list(s) of potential blood donors. Record your donation request message(s) (either offline or using our 800 number). Push the "Start" phone broadcast button. If you need to get donation request out quickly, DSC can provide you with an 800 number to call. Simply record your message, select from an existing list of potential donors and initiate a phone broadcast. All of this is accomplished with the touch of phone keys. The American Red Cross selected Database Systems Corp. to provide our call announcement phone system for it's community and employee notification requirements. The American Red Cross uses this system to alert certain employees and emergency response personnel during a disaster. Using our inbound IVR included with this voice broadcast system, American Red Cross personnel can record messages over the phone and transmit these messages to selected groups. Our phone broadcast service and phone systems can be used for a wide range of reminder and announcement campaigns other than blood bank donation requestion. Here are just a few examples of our voice broadcast applications. Contact DSC for a FREE analysis and quote and to learn more about call announcement products and services.